The texts came in last weekend, along with the in-person comments, the tweets and any other form of public communication you can think of. The topic? Syracuse football. Yeah. I said Syracuse football. Syracuse basketball maybe? Nope, football. You are reading correctly. This is what happens when you beat the No. 2 team in the country, a feat the Orange accomplished last Friday night. Everyone takes notice. Especially when that team is Clemson, the defending national champs. And damn did it feel god to be a part of the national football conversation for one night and morning. Even after this weekend’s loss to a top-10 Miami team, people were still talking about Syracuse football. It remained on that national stage. 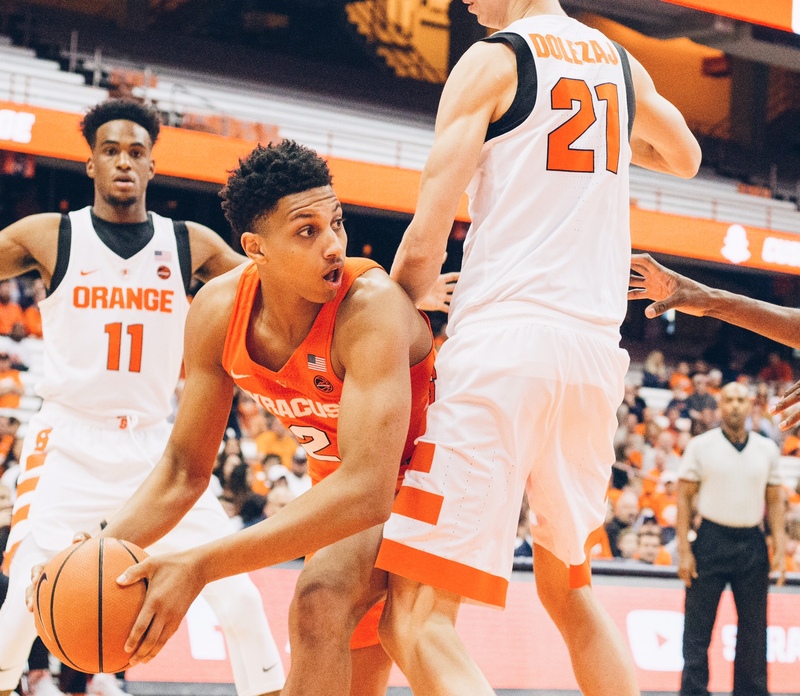 See, for most Syracuse alumni, basketball is the sport that keeps us connected to Cuse. It’s what the Orange are known for, and the stats back that up. We may be casual football fans, but it’s basketball that piques our interest every October. 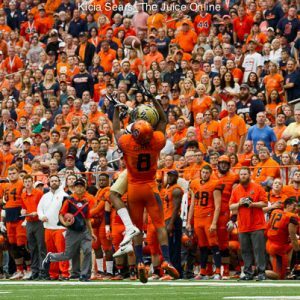 But a week ago, Syracuse football stole the show. 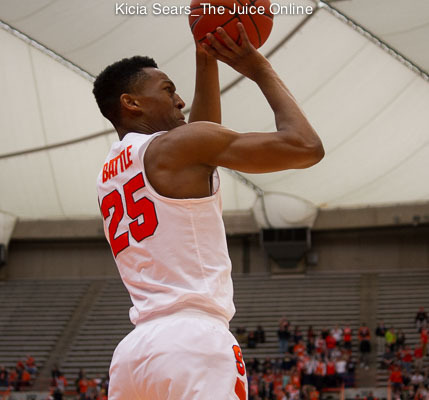 Because SU beat Clemson, people outside of Syracuse were talking about the Orange. Now, I’ll be the first one to say one big win is special, but you need to keep winning to keep it up. But that doesn’t mean Syracuse fans can’t celebrate their upset victory. I know Clemson’s starting QB got injured mid-way through the game. But a win over the No. 2 team in the country is still a win. It’s a morale booster and a positive sign. And it carried over in a close loss to Miami this past weekend. Syracuse football will never be confused with Clemson, or Alabama, or Ohio State, etc. And that’s OK. It doesn’t have to be. Though if you look at team history, Syracuse’s is just as illustrious as the rest of those teams’ histories. We can run with this win and try to build on it. We already saw that this past weekend with the valiant attempt vs. Miami. Sure you want to win, but you also have to be realistic. Teams will always go through streaks of ups and downs. Syracuse football was terrible in the first decade of this century. Then Doug Marrone came in, and the team won a couple bowl games. Then he left, and SU was forced to pick up a rebuild again. So, I say enjoy these moments. No need to over analyze.